Kaleidoscope is a regular event at The Night Owl, featuring live music and artists. Thank you to everyone who bought comics & zines from my table throughout the day. 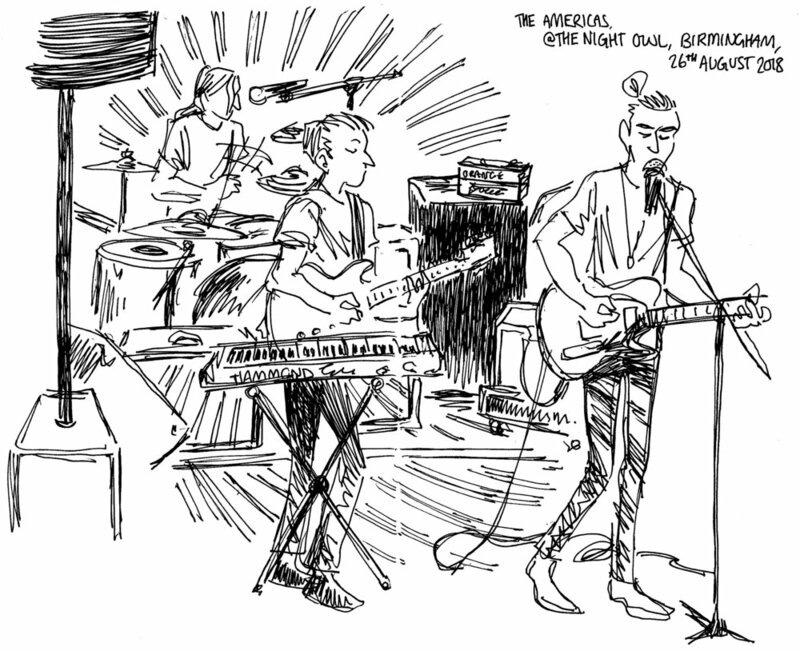 In my sketches I tried to capture some of the cool light displays at this particular event. 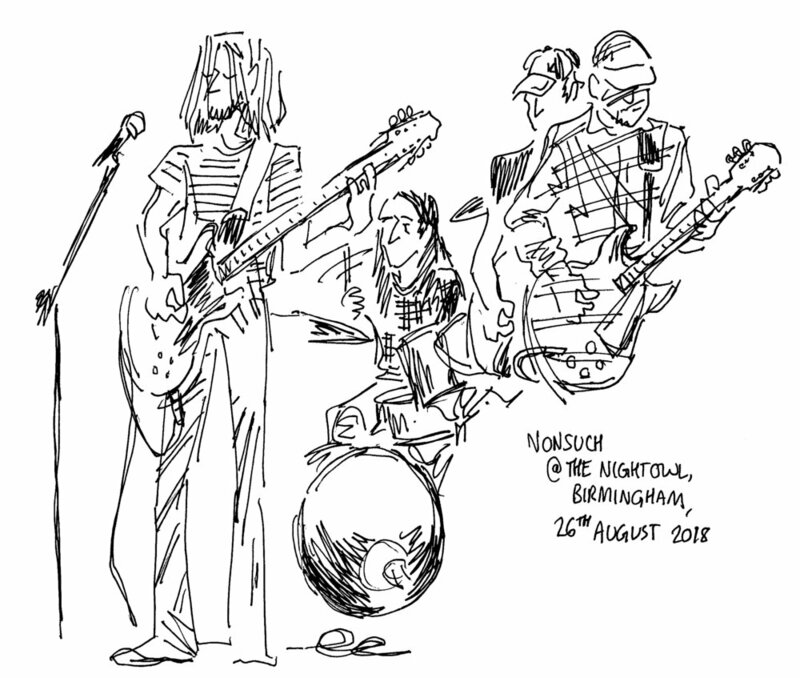 Sorry I had to leave early due to Sunday train times and missed sketching Mothers Earth Experiment. The next free entry Kaleidoscope event will be on Thursday 6th September. 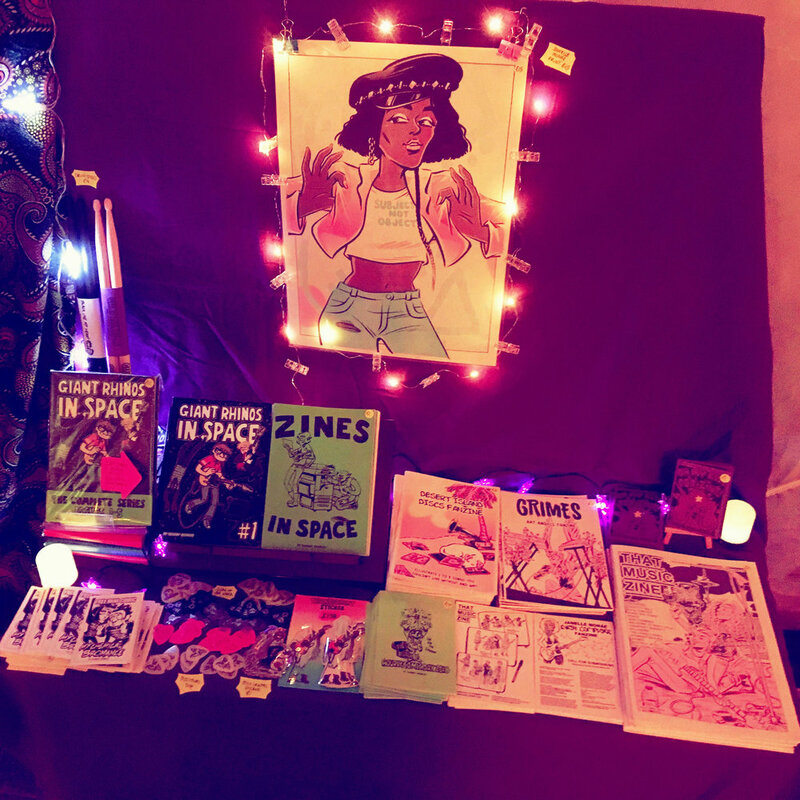 I'll be taking comics and zines to another show in Digbeth in a couple of weeks - High Vis Festival on Saturday 8th September! Please come say hi! I'll have free mini comics to hand out! For an up to date list of comic cons and zine fairs throughout autumn please visit the events section of this website.